The Sportsart 3108 treadmill is similar to the Sportsart 3106 but with better display and more workout programs. And the best part is… all of these added features are included for just a hundred dollars more. If you need a treadmill that provides great value, then this as well as other Sportsart treadmills are excellent choices. However, since this machine has a price tag of nearly $3,000, I don’t think a lot of people can afford it. So if this machine is beyond your budget, I highly recommend you visit our best treadmills page to look for a unit within your budget. As mentioned above, this unit comes with extra programming. It has 6 preset, 2 heart rate controlled and 2 custom programs to offer even more variety and flexibility. And, it still features both Manual and Quickstart programs for those who want to start immediately. The Sportsart 3108 gives you a 3.0 HP continuous duty motor that serves a top speed of 11mph(this is also an improvement from the 3106) and a max incline of 15%(with 1,100lbs thrust lift) to allow for high intensity workouts. Plus, it comes with Flowtec™ cooling system to prevent the motor from overheating thus, extending its life. The 20” x 58” running surface features a Proprietary SDS™ Shock Dissipation System that cushions harmful impacts for a smoother and injury-free run. And with the heavy duty welded steel frame, you can be sure that the unit will be stable even at top speed. And finally, this unit comes with good warranties. Its drive motor and frames are covered for a lifetime, its electronics for 3 years, its bumper to bumper mechanical for 10 years and its labor for 1 year. So far, I can’t find any. But if you think the near $3,000 price tag is beyond your budget (although this price is definitely justifiable with everything you’ll get), may I suggest you check out the Smooth 7.1HR. 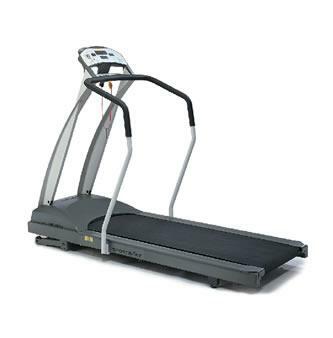 It is currently one of our best buy treadmills below $1,500. I recommend the Sportsart 3108 treadmill. But if you really don’t need the extra programming and better display, I suggest you save yourself a hundred dollars and go with the Sportsart 3106 treadmill. If you plan on buying a Sportsart 3108 Treadmill, I suggest you buy directly from Amazon for $2,899.